I was seriously disappointed by the Maybelline Opal Holographic Prismatic Highlighter, but because so many people raved about the other shades of the Maybelline Face Studio Highlighter I was dying to find a shade which worked for me. Maybelline launched some new shades at the beginning of December so I decided to give one more shade a try to see if I could see what all the fuss was about. 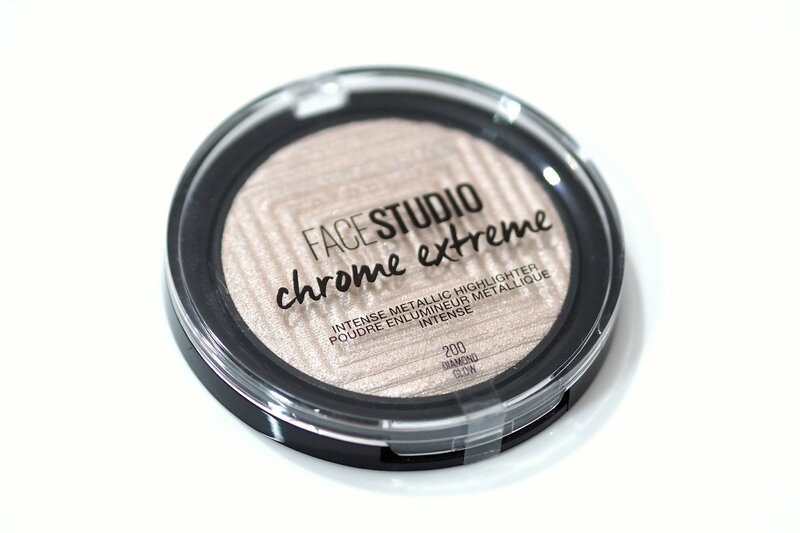 I couldn’t find swatches online but I chose the Maybelline Diamond Glow Chrome Extreme Highlighter £8.99 although I have to say, the stock images look so different to the Maybelline Diamond Glow I have. Online it looks like a darkish rose gold but it’s much paler and a great shade for paler skintones. 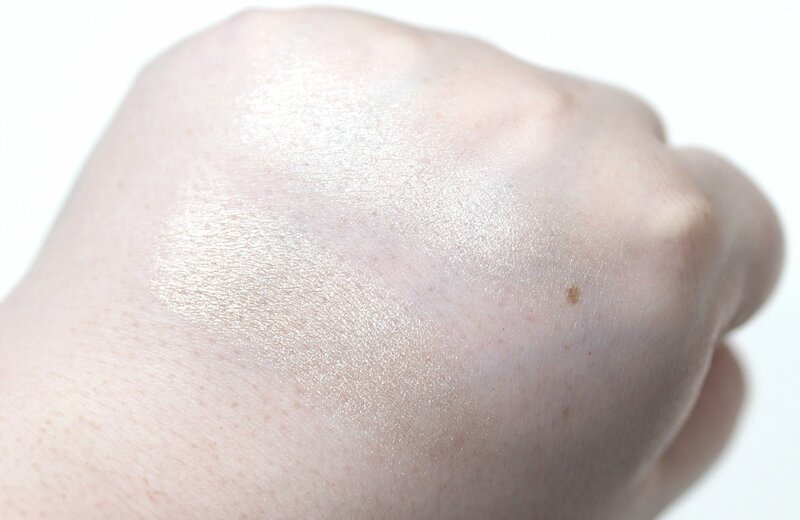 The Maybelline Diamond Glow Chrome Extreme Highlighter is the prettiest highlighter I’ve ever tried from the drugstore, and I’ve tried so many. The powder has a gentle pyramid raised design so I was worried the consistency would be the same as the Opal version which also had a raised design. 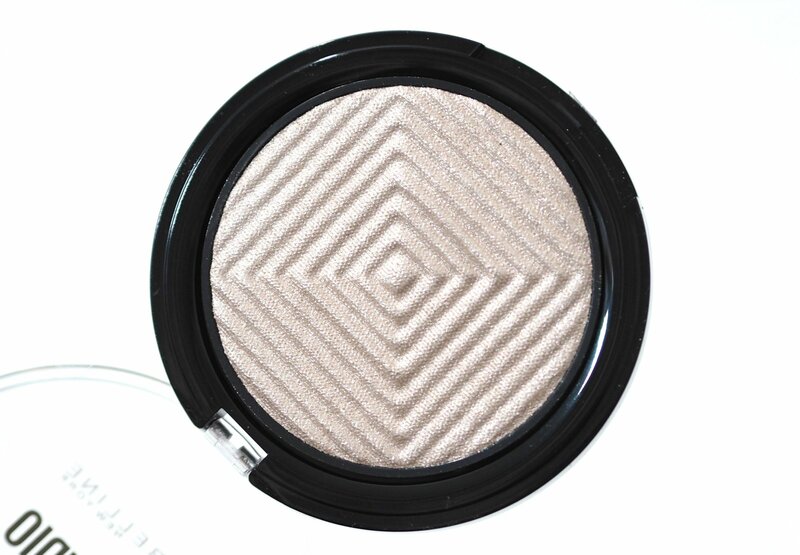 Sometimes a raised design can effect the pigmentation and finish, as the powder can be pressed too firmly but Maybelline Diamond Glow has the perfect formula for a powder highlighter. It’s silky, soft and has almost a wet look finish when applied to the skin which really, really reminds me of the formula of the Anastasia Beverly Hills Amrezy Highlighter. Both have an identical finish on the skin which is amazing if the Amrezy Highlighter was too deep for you. The first swatch on the left is a built up swatch using my fingertips, and the second swatch is applied with a brush but again built up so you can see the colour and finish. I don’t think anyone would wear their highlighter as intense as these swatches but I just had do the stunning sheen justice. This highlighter doesn’t emphasise pores, texture or peach fuzz and it looks gorgeous when worn sheerly for a more natural glow, or built up for a ‘seen from space’ kinda glow. If you have a skintone similar to mine, or a little deeper, I think you’ll love the Maybelline Diamond Glow highlighter as much as I do and I really recommend swatching it if you see it instore as it’s a beauty and the fact it’s under £9 is even better. Have you tried any of the Maybelline highlighters before?